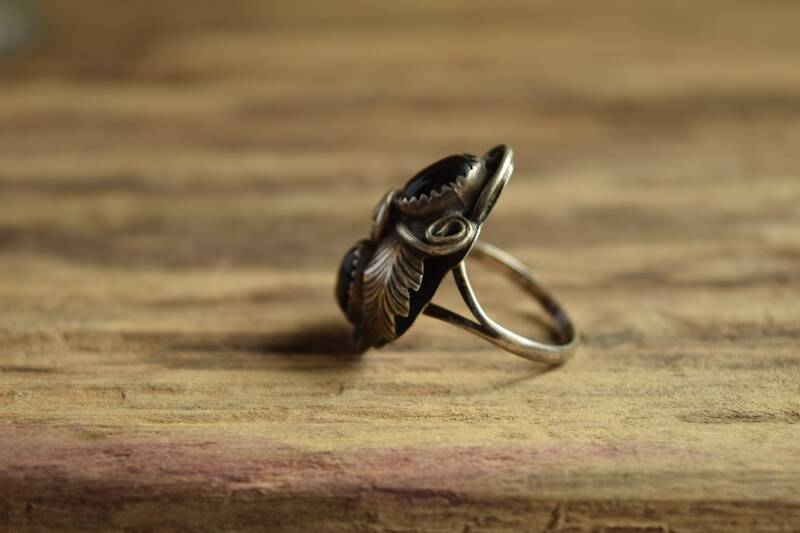 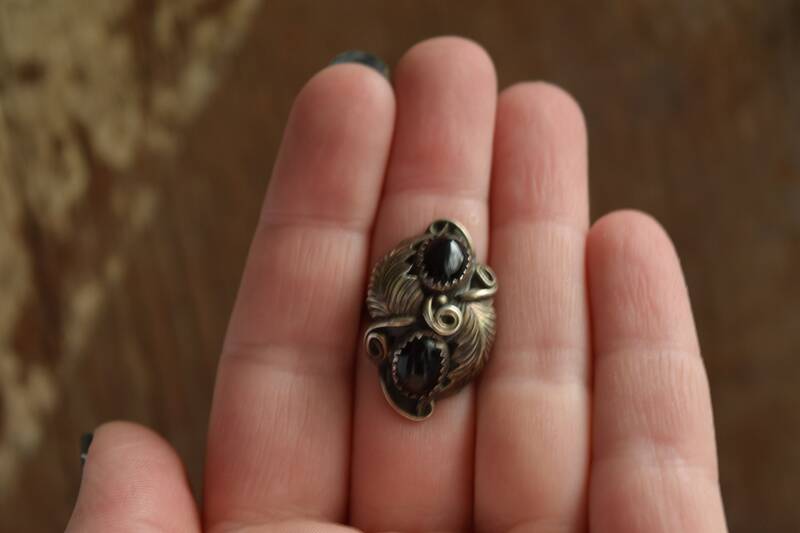 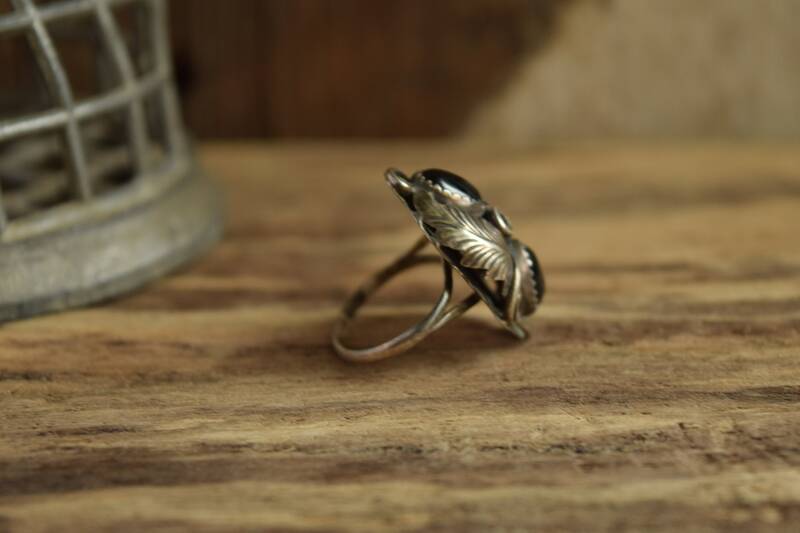 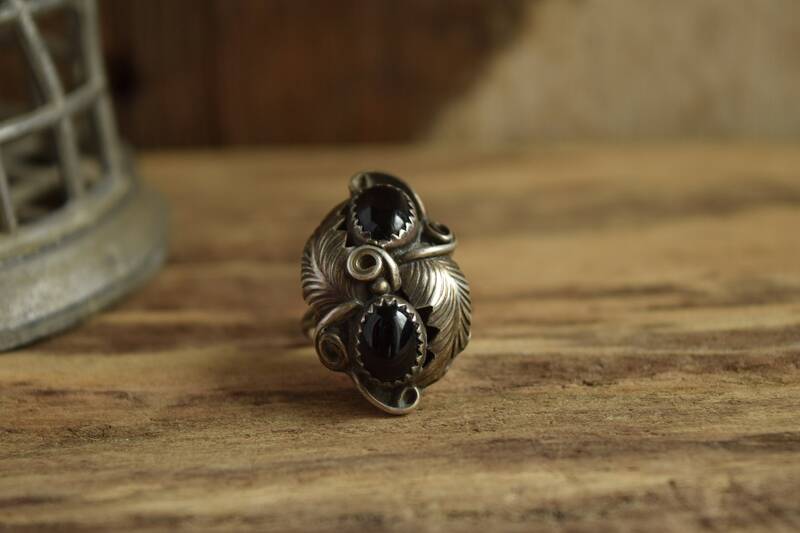 This Onyx Ring features two stones and classic Native American silver work leaves and scrolling. 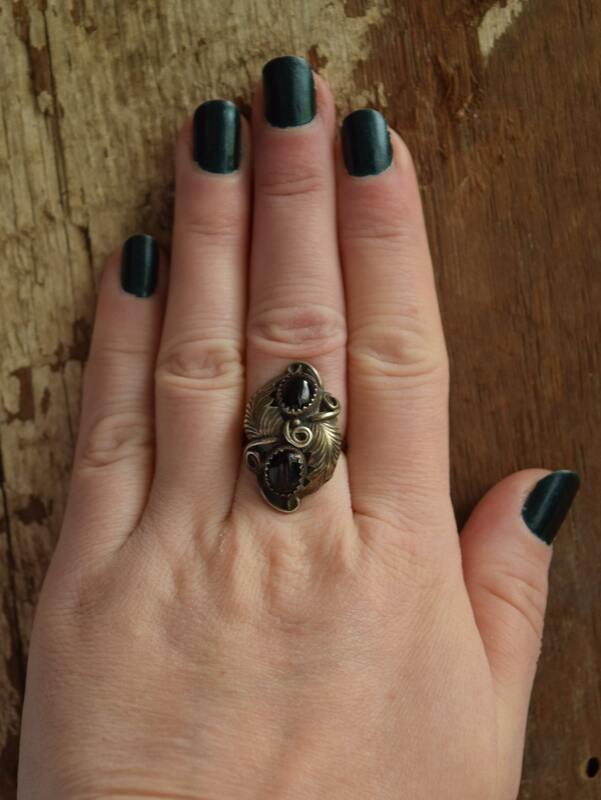 This size 6.75 ring is dark and dramatic, making it perfect for moody days, night owls and those with a pitch black style in monochrome. 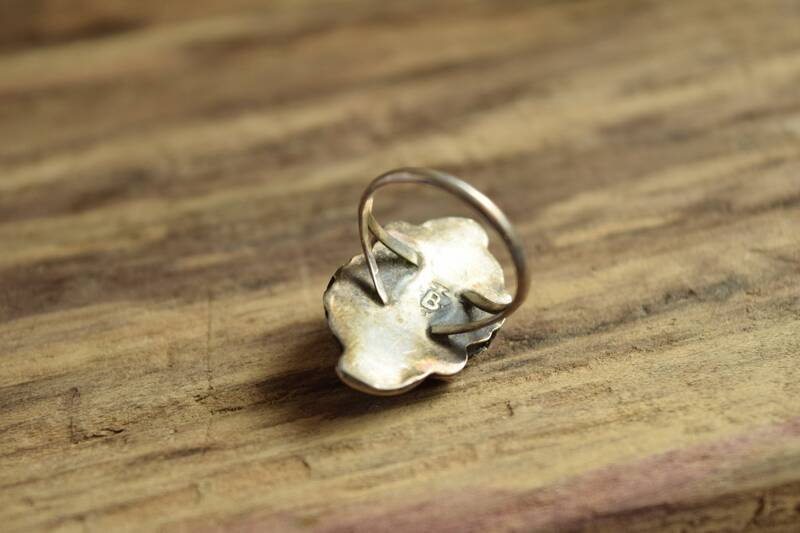 Dress it up or down, its totally up to you. 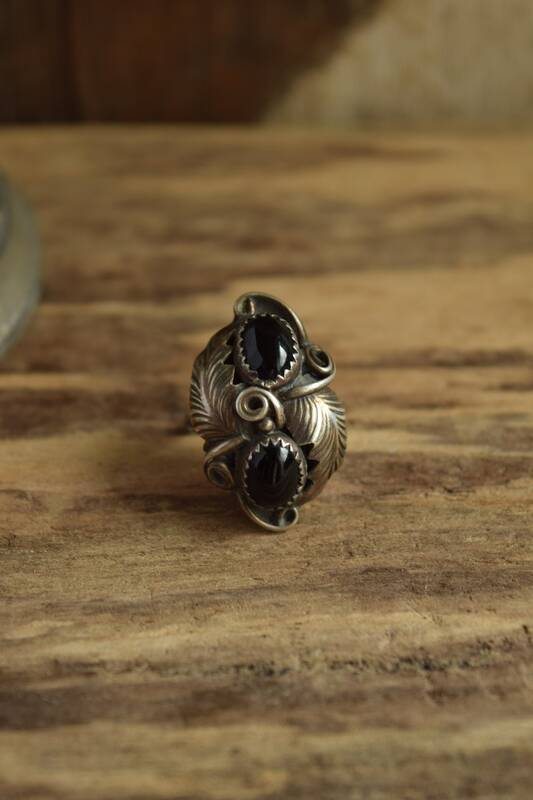 Condition: Great previously owned condition. 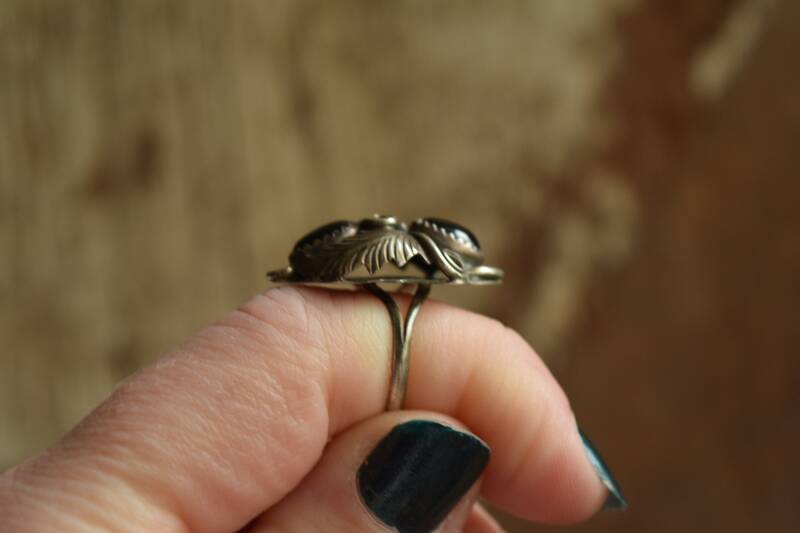 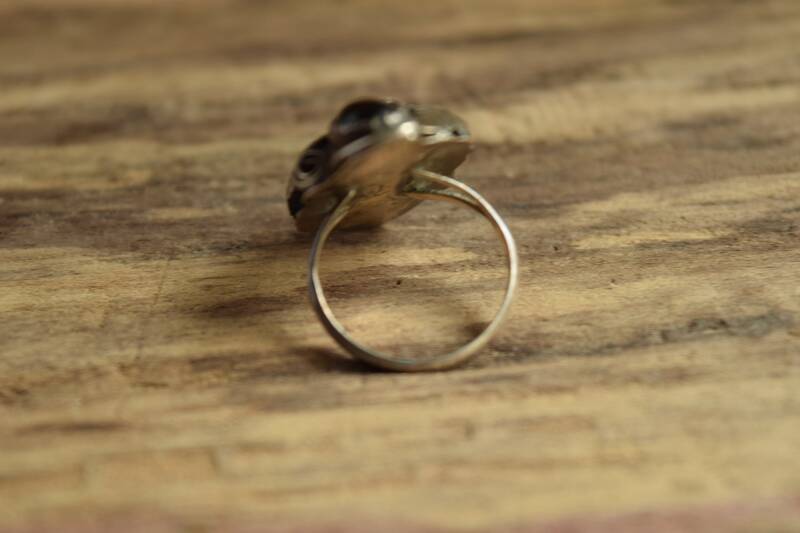 Some surface wear and tarnish, but overall a lovely ring with no major damage.